The Chicco Myamaki Complete Baby Carrier is the new ergonomic baby carrier from Chicco that keeps your baby safe, secure and in a hip healthy position. Why should I choose the Chicco Myamaki Complete Baby Carrier? 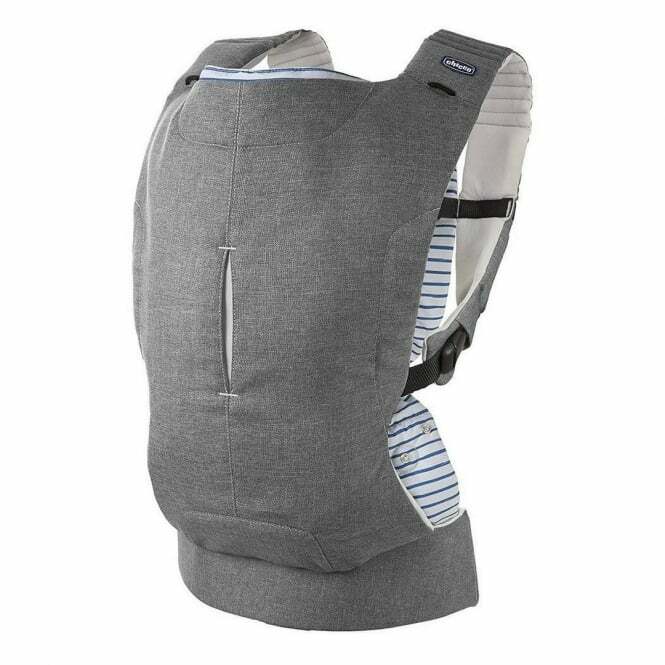 The Chicco Myamaki Complete Baby Carrier has been recognised by the International Hip Dysplasia Institute as a hip healthy product. This gives great peace of mind to parents that your baby will be comfortable but also in a perfectly safe position. Chicco Myamaki Complete Baby Carrier provides a spacious seat that keeps your baby in the healthy M-position. It also ensures the correct position of your baby's back keeping them comfortable, safe and developing well. For parents, the comfortable waist strap and padded shoulder straps give you the comfort you need while carrying your baby. There are multiple carrying positions available with the Chicco Myamaki Complete Baby Carrier. This makes it suitable from birth. A reducer is included with Myamaki Carrier which is used for the first month of your baby's life. This adds additional comfort and protection. What are the specifications of the Chicco Myamaki Complete Baby Carrier?